Have You Got The Merch? 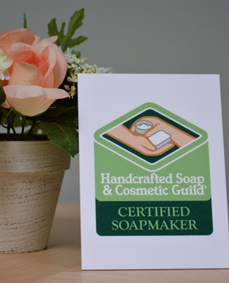 Announce your membership or certified soapmaker status with pride. Perfect for display in your shop or at shows, we have newly printed 5″ x 7″ (roughly 13 x 18 cm) acrylic signs for both HSCG members and certified soapmakers available in the store. Books abound. 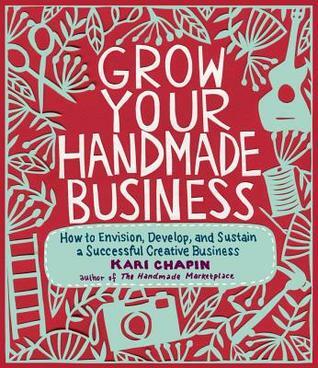 Stock up on popular business titles, like Keri Chapin’s Growing Your Handmade Business and Marie Gale’s Good Manufacturing Practices for Soap & Cosmetic Handcrafters. Expand your repertoire with Holly Port’s new release, Make It Fizz: A Guide to Making Bathtub Treats. Keep it legal with Marie Gale’s classic, Soap & Cosmetic Labeling or just kick back with tales like Jenna Woginrich’s Made From Scratch. Whatever titles you cozy up to, you’ll get an extra discount on the list price (how’s that for treating yourself?). Finally, did you catch the new jewelry at this year’s conference? We’re excited to have these hot sellers now available in the store. 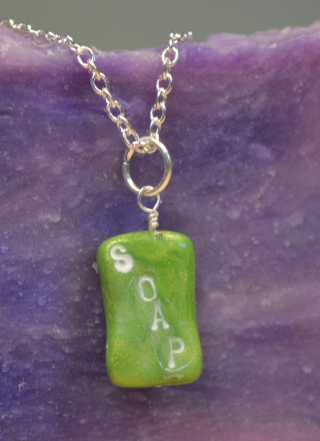 You’ll find necklaces and earrings with dangling bars of handcrafted soap (made out of clay, not soap, FYI, although boy would that come in handy!) in scores of colors. Both are conversation starters, and perfect for announcing your not-so-secret obsession to the world. Browse the store for the full selection, including aprons, shirts, gift certificates, marketing materials, and more. How do you show Guild pride?